CDC reports Human Lyme statistics average more than 20,000 cases annually for the US with 200,000 cases since the disease became reportable in 1991. Due to the high degree of difficulty in positive diagnosis of Lyme disease these numbers are difficult to confirm. Lyme diagnosis tests are woefully inadequate and early diagnosis is essential to address true spirochete infection. For map and statistics, visit the CDC website: http://www.cdc.gov enter search for "Lyme Disease"
Lyme Syndrome is caused not only by the Borrelia organism but by the lipoproteins antigens which are in the Lyme vaccine and many other injectable agents; the antigens are similar to a long list of new, abnormal molecular structures that humans and animals now have in their bodies. In dogs, the number of cases is unclear because of a lack of central reporting agency. 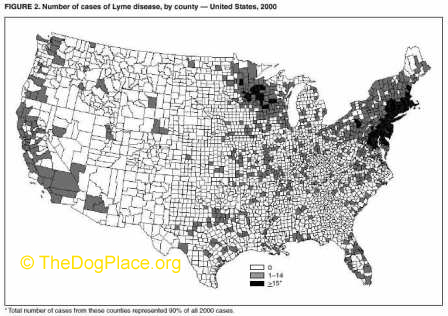 95% of the Lyme Disease cases are found (using SNAP-4DX ELIZA test) in just 12 states but according to cumulative statistics recently released by IDEXX Laboratories, Inc., nearly half of the states (23) have reported 500+ Lyme-positive dogs between 2001 and July 2009, seven more states logged between 251 and 500 and not a single state was free of Lyme-positive dogs. Although the disease known as relapsing fever was identified in Europe in the 1800’s, it appears the great influx of spirochete infections in the vector transmitted disease in the US had its strange beginnings in 1977 in Connecticut. 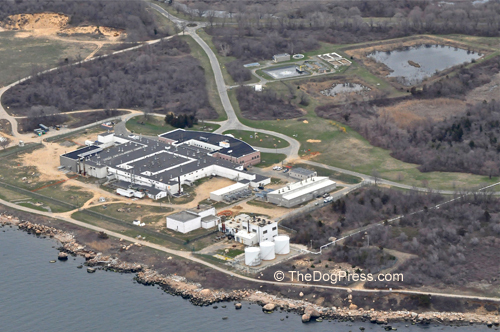 The township of Old Lyme is across from Plum Island Germ Lab that dealt with tick colonies, infectious disease and biological warfare agents. Dr. Alan Steere of the EIS (Epidemiological Intelligence Service) was sent to head up the Old Lyme outbreak and is still at the helm of the Lyme controversy, especially the testing methods and Osp A vaccine. As of 2006 Lyme Disease is listed as the fastest growing epidemic in the US with more than 20,000 new cases per year. In the field cases for natural exposure to the organism, following an incubation period of 2-5 months post tick bite, most dogs suffer no Lyme Disease symptoms although they test positive. 5% of exposed dogs get fever, anorexia, lameness but all respond quickly to Doxycycline, the antibiotic of choice. If the disease pathology can be triggered from antigen alone, it means that vaccines are capable of inducing disease and that the more vaccines are administered, the more cumulative damage will be conveyed. *** the lipoprotein used in the Lyme vaccines are highly conserved agents in other disease causing pathogens, the molecular mimicry afforded to the biochemical structure makes the Lyme tests used also cross react with Syphilis, HIV, Leptospirosis, Legionnaires and other agents. The lipoprotein is so inflammatory that the drug companies are using it as an adjuvant.......which means the Lyme Syndrome is going to affect some people where the source is from a drug or vaccine, not only Lyme vaccines. The Fort Dodge whole bacterin vaccine can cause Lyme disease [Lyme vaccine Disease] without infection from actual Borrelia. (reference 4) The vaccines contain thimerasol (mercury) a neurotoxin and inflammatory genetic mutator. Pittman Moore Animal Pharmaceutical Company warned the Eli Lilly Company against its safety as early as 1935 “even in dogs serum.” These safety issues were raised in Congressional testimony several times and the correspondence from Pittman Moore to Eli Lilly are a part of Congressional Hearings testimony on the dangers of mercury (thimerasol). The whole bacterin vaccines (the Fort Dodge vaccines) were on the market for years for dogs despite the significant pathology these vaccines were associated with and which forced them from use in human medicine. Adverse events from these types of vaccine continue to plague our animals. Dogs continue to be Lyme Vaccine Diseased from the use of these products. The Osp A recombinant DNA technology of the latest Lyme vaccines is touted as safe despite the recalled products in human Lyme vaccines due to safety issues. More pathology has been linked to the antigens of Borrelia, antigens also found in the Lyme disease vaccine. Neurological syndromes that follow vaccination or infections are often attributed to auto immune mechanisms. Neuropathy or cognitive impairment can occur within days to months following vaccination with the OspA antigen; CIDP –chronic inflammation demyelination polyneuropathies, multifocal motor neuropathy, sensory axonal neuropathy, cognitive impairment (T2 hyper intense white matter lesions seen on magnetic resonance imaging, MRI). All of these disease patterns are also linked in humans to “chronic Lyme disease”, including “chronic Lyme vaccine disease”. These patterns of disease suggest the role of immune mechanisms in the manifestations of chronic Lyme disease that are resistant to antibiotic treatment. Reference Latov N, Wu A, Chin RL et al. An article titled “Pets fall victim to mental health problems too” lists cognitive dysfunction as a progressive disease with “no known cause” and advises treatment with drugs like Selegeline [Anipryl], Senilife and Novofit. The same drug company that makes the vaccines also makes drugs to treat vaccine induced/related diseases… yet they state cognitive dysfunction has “no known cause” and is progressive. Hills Prescription Diets has a diet for this brain problem; the diet is called Brain Diet and has antioxidants and Omega 3 fatty acids, everything you would want to supplement a brain damaged with oxidative damage. Vaccines cause oxidative damage and they are directly linked to the formation of cognitive dysfunction. Oxidative damage also contributes to a state of chronic inflammation and cancer development. (2) Reference: Latov N, Wu AT, Chin RL, Sander HW Aledini A and Brannagan III TH, Neuropathy and cognitive impairment following vaccination with Osp A protein of Borrelia burgdorferi, Journal of the Peripheral Nerve Society,2004 Sept; 9(3);165-167. Reference;Otto A, Lyme Vaccine linked to autoimmune arthritis, Pharmacy Today, 2001; 7 (1):10. (3) Reference: Hu LT, Klempme MS; Host pathogen interaction in the immunopathogenesis of Lyme Disease[Lyme Vaccine Disease]J Clin Immunol, 1997;17 (5):354-365. Reference; Sigal LH; Lyme disease [Lyme Vaccine Disease] A review of aspects of its immunology and immunopathogenesis, Am Rev Immunol, 1997; 15:63-92. Sigal LH, Antibodies to spirochete antigens cross react within human nerve, synovial, hepatic, cardiac and skeletal tissue and linked to immune-mediated chronic inflamatory disease,1997;15:63-92. Reference; Wormser GP, Prospects for a vaccine to prevent Lyme Disease in humans, Clin Infect Dis, 1995; 21:1267-74. (4) Reference: Appel MJG, Jacobson RH; CVT Update; Canine Lyme Disease in Bonagur JD (ed) Kirk’s Current Vet Therapy XII Phila, WB Saunders CO. 1995, pp 103-308. Reference; Appel MJG Lyme Disease vaccination in dogs in prevention and treatment, Proc Conn Vet Med Assoc., 1998: 1-10. (5) Reference: Hildenbrand P, Craven DE, Jones R, et al, Review Article Lyme Neuroborreliosis manifestation of a rapidly Emerging Zoonosis, AJNR, 2009; 30:1079-87. Editor's Note: Lyme Disease Part Two - Lyme Vaccine said to be "the most dangerous medical practice..." done in veterinary offices today. In fact, be sure to read how doctors fail to diagnose this insidiously infectious disease in humans in Lyme Disease Exposed. Repeated vaccinations risk autism and Vaccine Induced Disease. 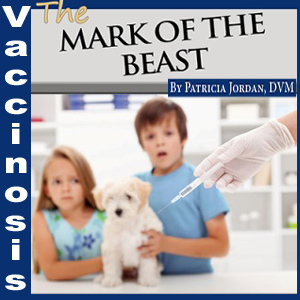 Dr. Jordan's book is your child or puppy's best protection.